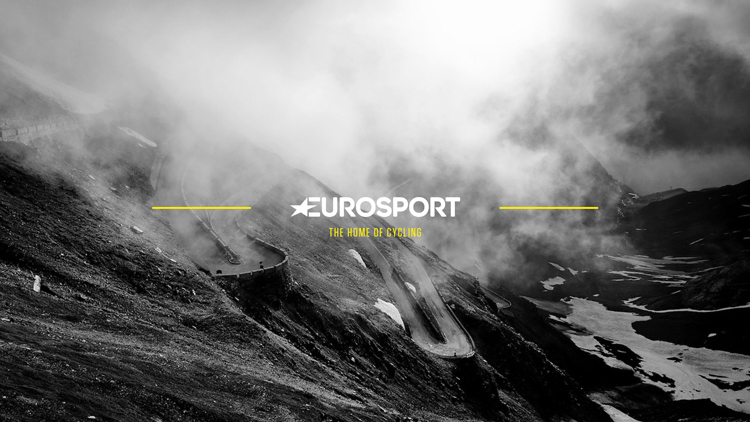 The studio has designed the visual identity for sports network Eurosport’s cycling coverage, which lasts 200 days and features 110 events, including the Tour de France and more. 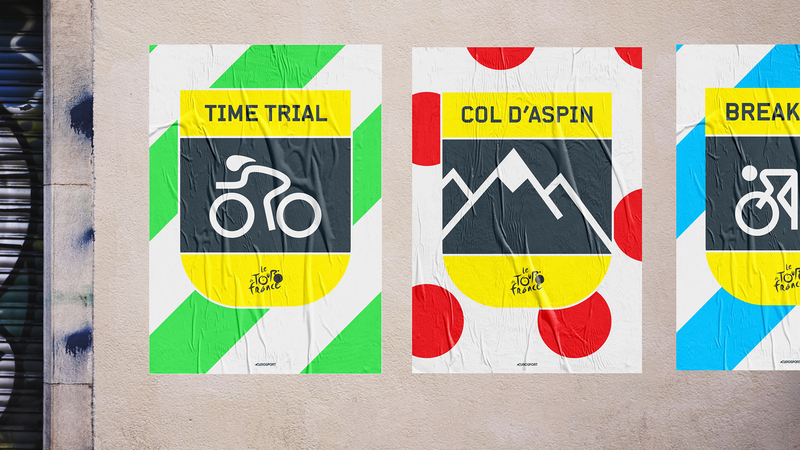 DixonBaxi has designed the identity for all of Eurosport’s TV and digital cycling coverage for the year, which includes the Tour de France. 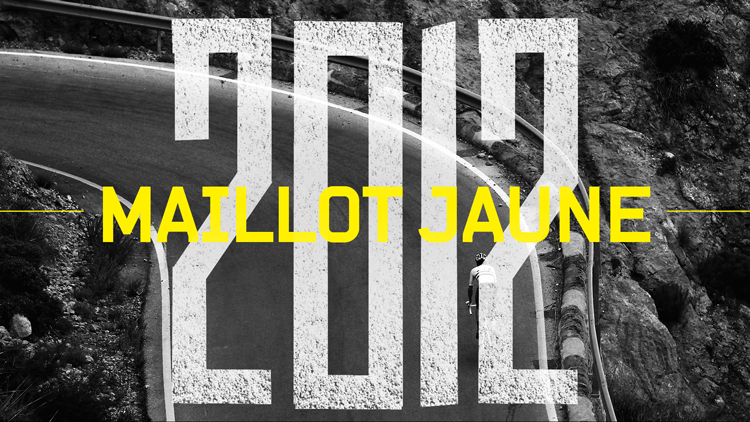 The Home of Cycling branding will be used across digital and broadcast platforms, covering 200 days of live cycling across 110 events. 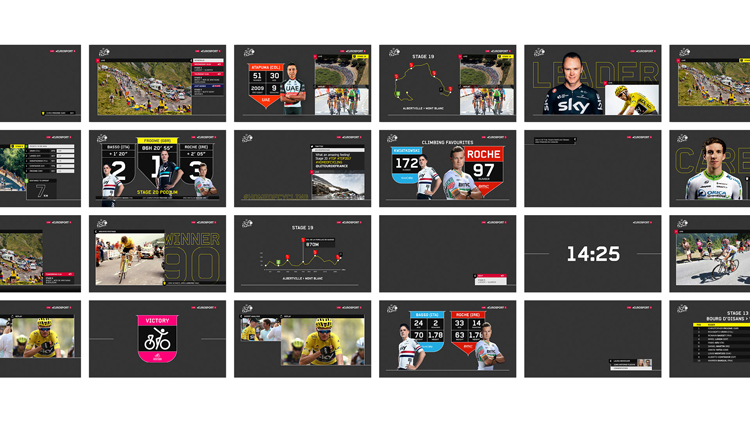 DixonBaxi has designed a graphics system including branding, titles, infographic tools for post-race analysis and an overall identity to mark out all cycling content on Eurosport. This includes a yellow and white brand identity for Home of Cycling, which features the Home of Cycling name set in a faded, all-caps, sans-serif typeface. 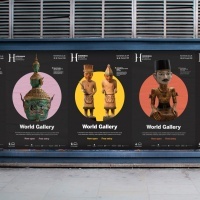 This colour palette and typeface has been used across print and digital advertising. 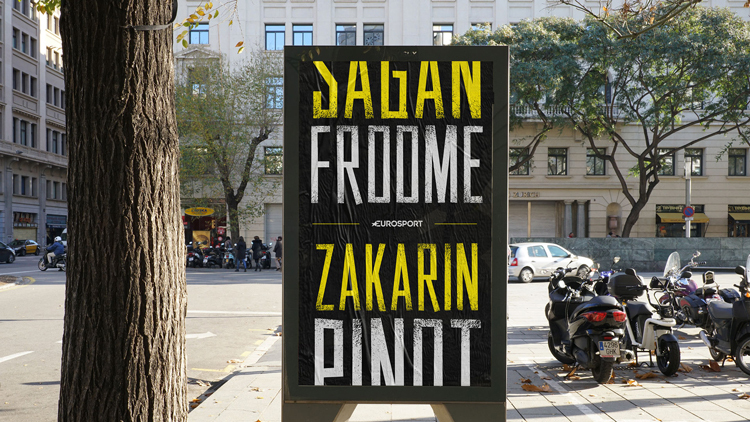 The faded, hand-painted feel of the core typeface has been inspired by messages that are painted on tarmac during cycle races in support of riders, says Aporva Baxi, co-founder at DixonBaxi. The studio has designed a system that allows the live races to shrink down on screen, allowing other sections of the screen for race analysis and commentary. The aim was to create an “augmented experience”, says Baxi, “that lets fans follow their heroes without ever leaving the race”. 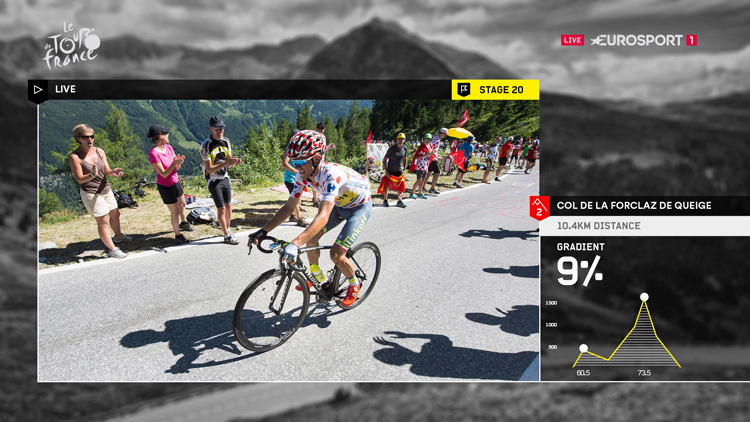 Screens feature grids that allow post-stage interviews, replays, infographics and statistics to run alongside live races. 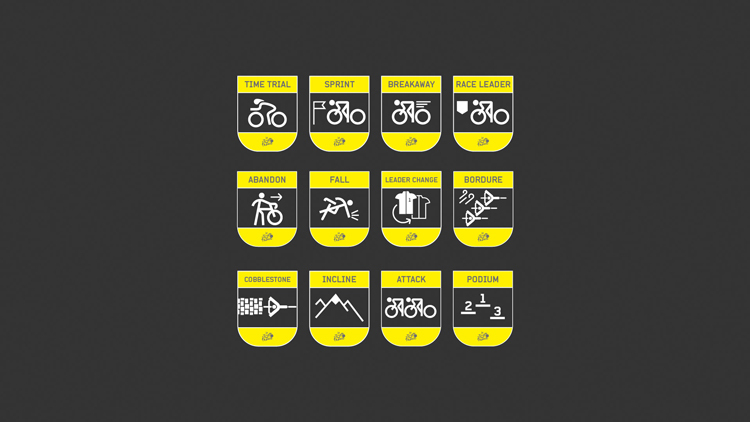 A suite of graphics has also been designed, including pictograms to show different race occurrences, such as a victory or an abandonment, and also to demonstrate topological and race course features such as cobblestones, climbs and sprints. 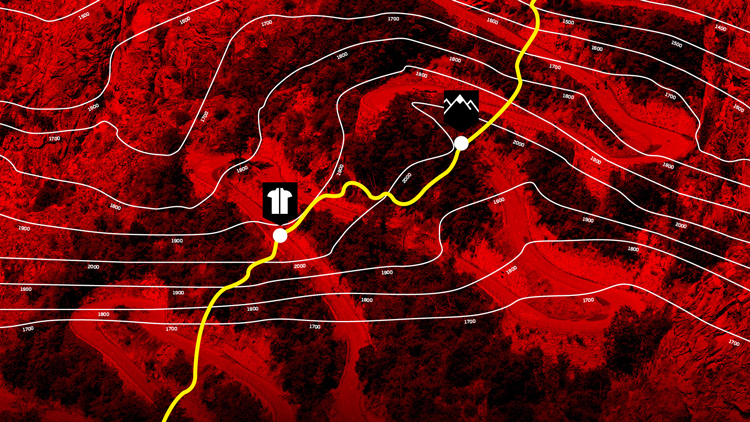 Other graphic elements include maps and course infographics to demonstrate contests and mountain grades, alongside rider profiles showing their faces, teams and race numbers alongside contextual facts and figures. 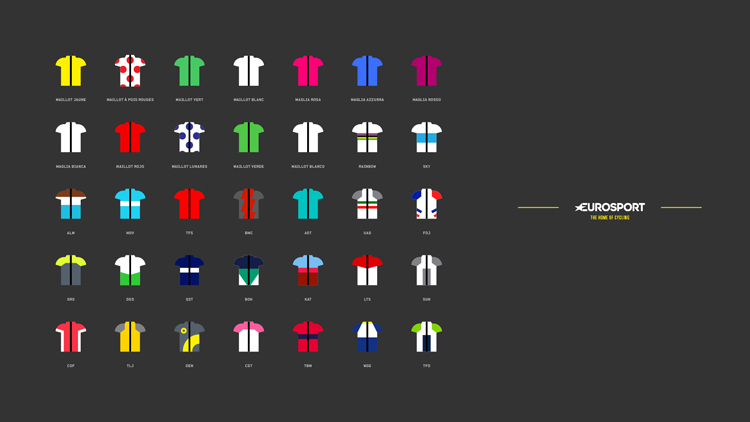 The Home of Cycling identity has now rolled out as broadcast coverage of the Tour De France began on 7 July. 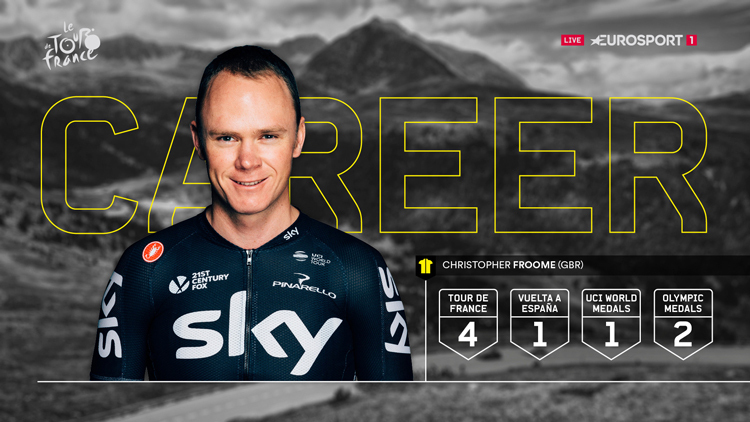 Online coverage is available at the Eurosport website.